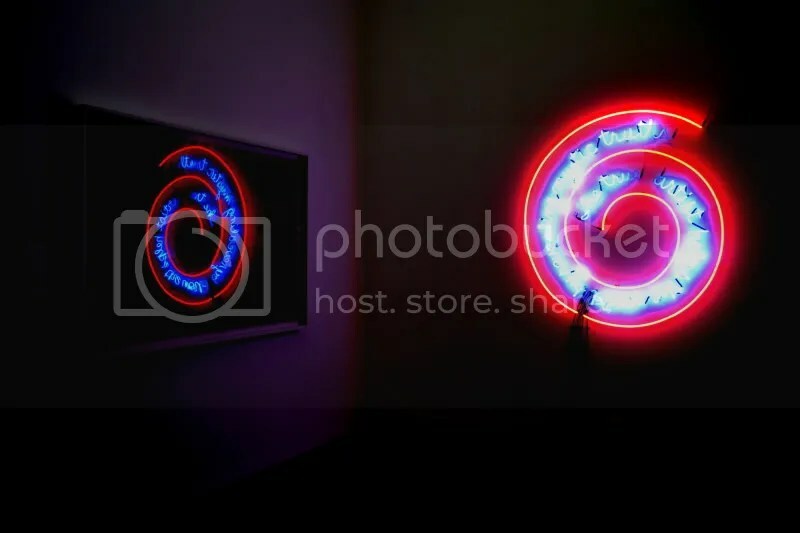 This neon sign by American artist Bruce Nauman (found at the Philadelphia Museum of Art) was featured in a previous post on this blog. 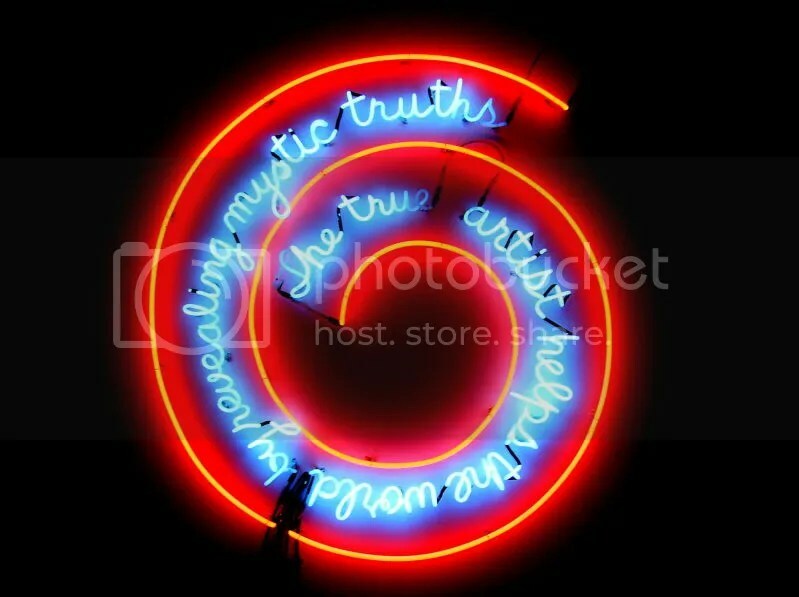 Nauman’s work, titled: The True Artist Helps the World by Revealing Mystic Truths treads a thin line between the metaphorical and the literal. 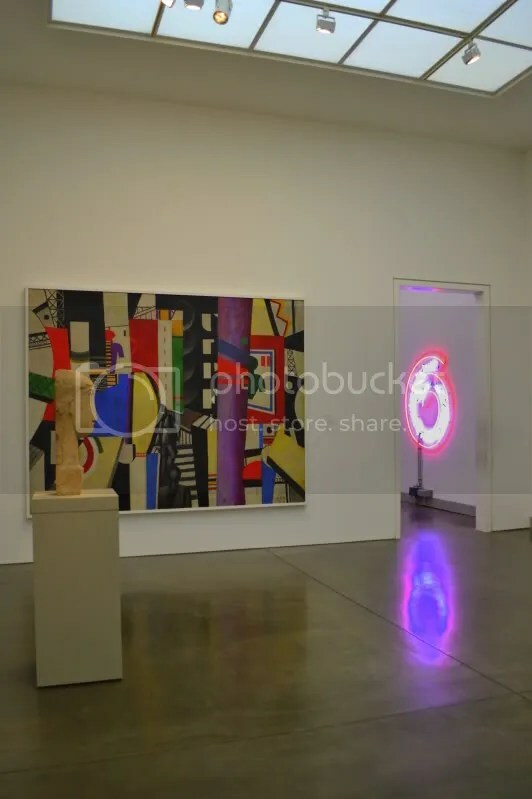 Nauman’s neon beckons from a gallery far beyond. Nauman’s neon glows eerily in an otherwise darkened room. 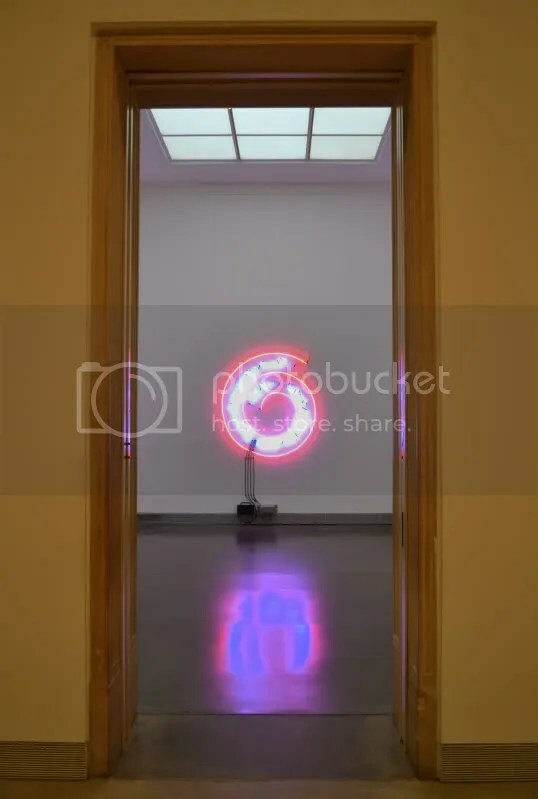 Nauman’s neon sign as viewed through a doorway. 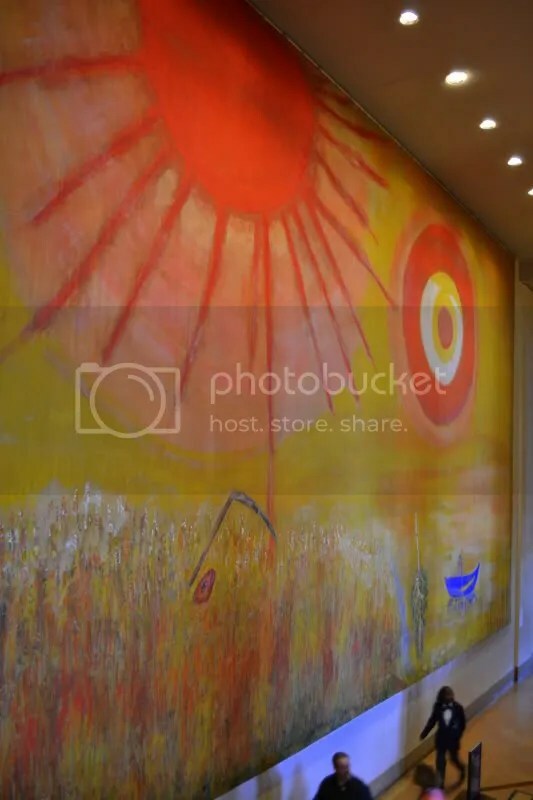 And now, without further ado, we’ll move along to other sections of the museum . 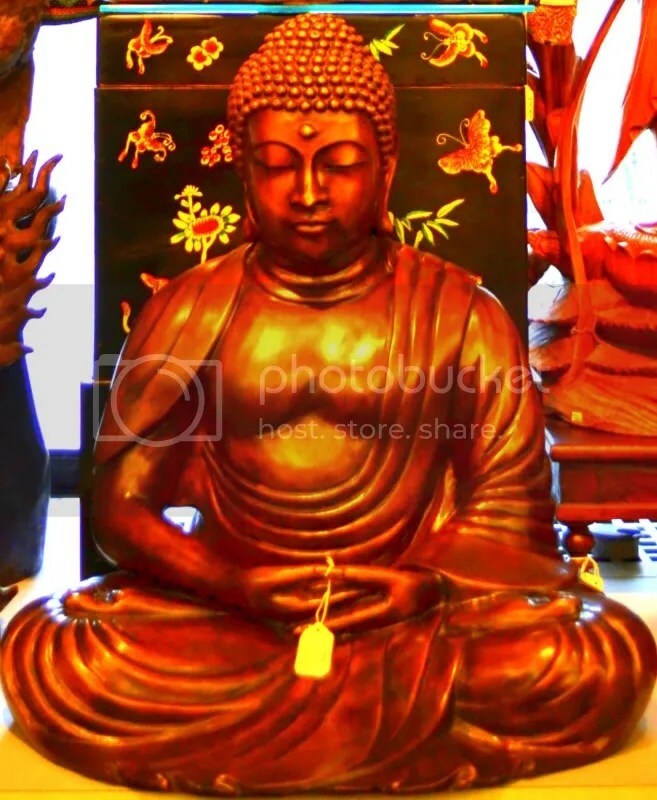 . .
A smiling bronze Buddha for sale in the museum store. 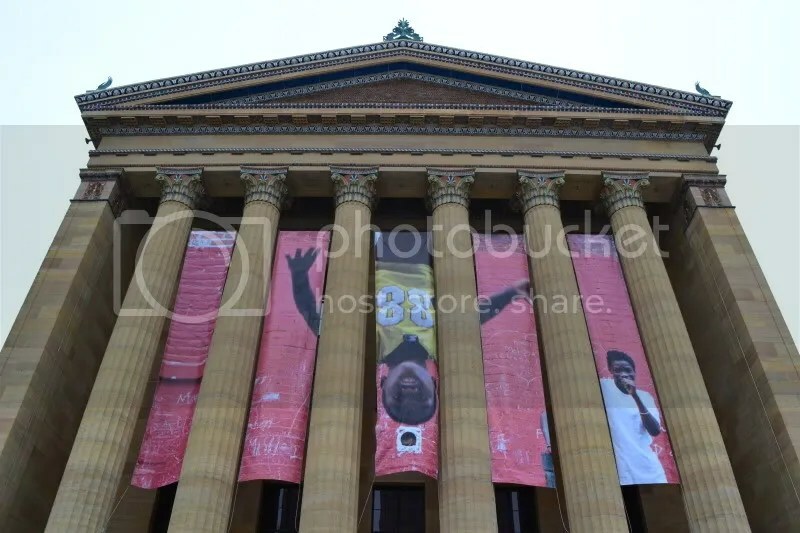 A banner above the rear entrance advertises Philadelphia photographer Zoe Strauss’s exhibition, “Ten Years,” on display at the museum through April 22nd, 2012. 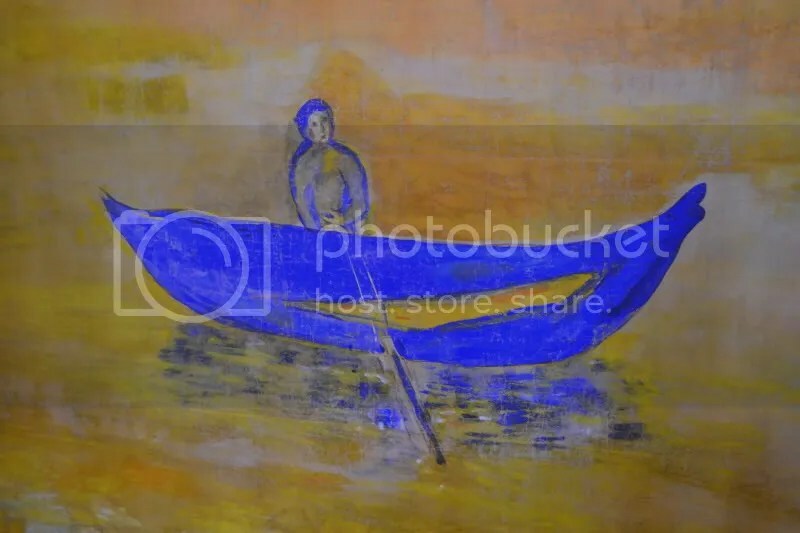 Marc Chagall’s grand work, A Wheatfield on a Summer’s Afternoon (tempera on fabric) was one of four backdrops commissioned by the Ballet Theatre of New York (now the American Ballet Theatre) in 1942, to be used in a performance called Aleko. A Wheatfield on a Summer’s Afternoon, detail. 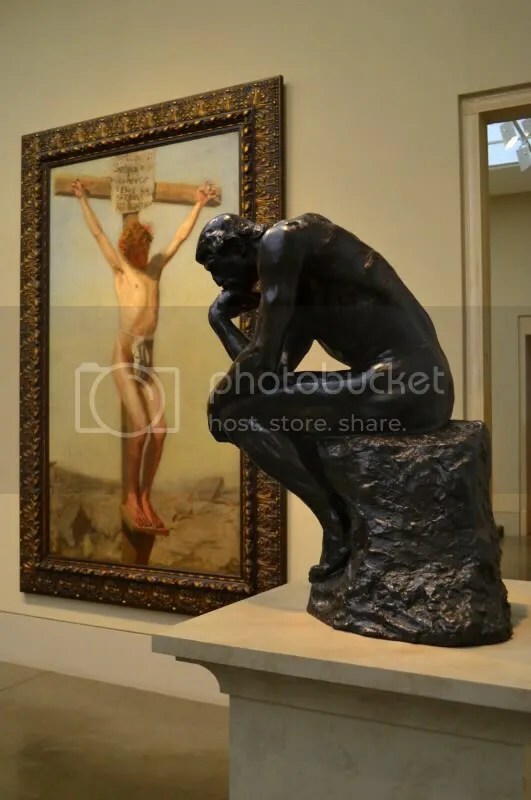 A miniature cast of Rodin’s The Thinker perhaps contemplating The Crucifixion (as painted by American artist Thomas Eakins). 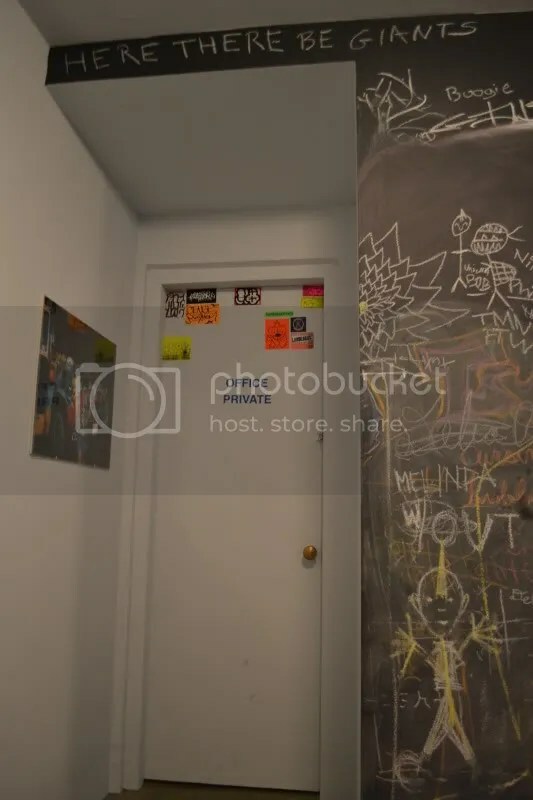 Doorway to the artists’ office in the installation Megawords, a satellite of the Zoe Strauss Photography Exhibition on display through April. 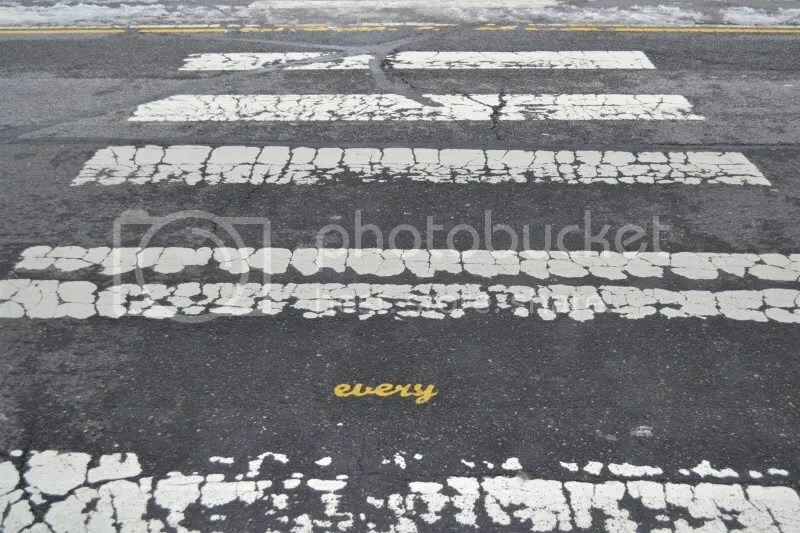 Here, the lone word “every” is emblazoned between the white markings of a crosswalk near the Philadelphia Museum of Art. I wonder how it got there, and what it might mean. did you get the buddah fromt the gift shop? i love them! i think you have a few too, right? Nope, I didn’t buy that one. I used to have a Buddha statue, but it was damaged during a move.